If you’re deep into overclocking, regularly changing components, testing machines or just plain enjoy the style, the Easy V3.0 offers plenty of versatility and options which have been developed by years of experience. The range of colours available is excellent, giving red, blue and yellow as the stand-out options and black, grey and silver as the more understated choices. 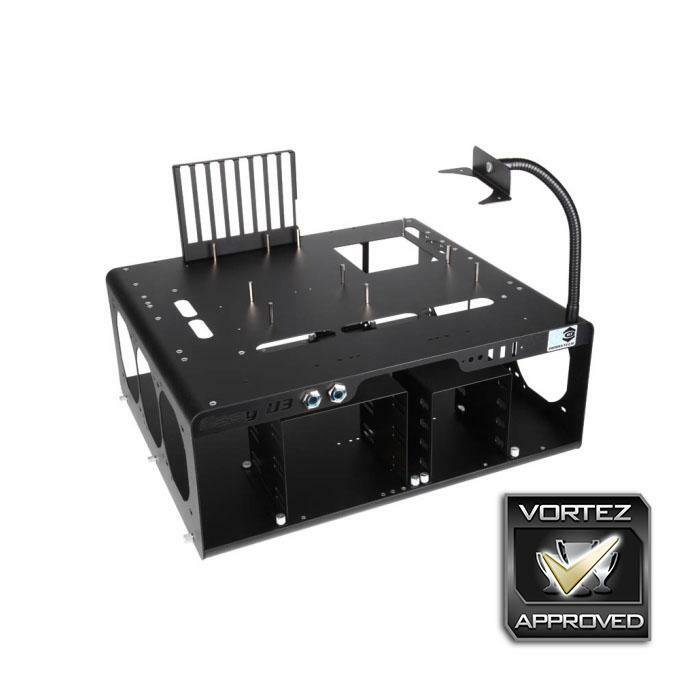 Offering support for 360mm or 280mm radiators on each end, full size PSUs, plenty of 3.5” and 5.25” drives and any size motherboard you can throw at it, the Easy V3.0 will please those who aim to use it in any capacity and should make testing/changing components a breeze thanks to its open design. The 1.5mm steel gives the entire chassis plenty of rigidity while all the cut outs for cable management ensure you’re not fumbling about routing cables in wacky and wonderful directions, requiring lengthier cables while resulting in an uglier appearance. The only problem we have with the Easy V3.0 Testbench is the price, but when it boils down to it, when you produce something of quality, you either need to sell a lot of them or sell them at a higher price; with a product such as this, we can’t imagine DimasTech are selling thousands of them so ultimately the asking price will be higher. However, to counter that, in a professional environment such as a PC workshop, testing RMAs or components for any reason, the time to remove and swap out parts multiple times per day may well see that cost recouped very quickly. As testbenches go, the DimasTech V3.0 offers good versatility, is very strong thanks to the 1.5mm steel, looks awesome due to the Spicy Red paintwork and features excellent cable management but the price will sting at first.